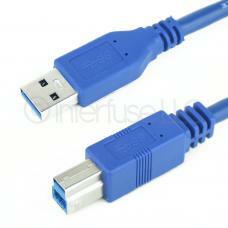 A new high quality USB 3.0 cable that has a type A male connection on one end and a printer or scanner cable connection on the other. Can be used to connect your computer or laptop to a printer or scanner with a compatible connection. Your order will ship out the same or next business day!